The presence or absence of stock photography in your article, website or design can either make or break your entire project. That’s why it is recommended to use custom photography. However, not all individuals and businesses have the time and money to conduct their own photo shoots. This is when stock photography makes most sense. With the overflowing number of stock sites in the market, it becomes a challenge to find your primary image source. If you have not found your primary image bank, check out Adobe Stock. The website offers over 45 million world class royalty-free images, perfect for your creative projects. You can purchase them individually or subscribe to a plan that meets your needs. 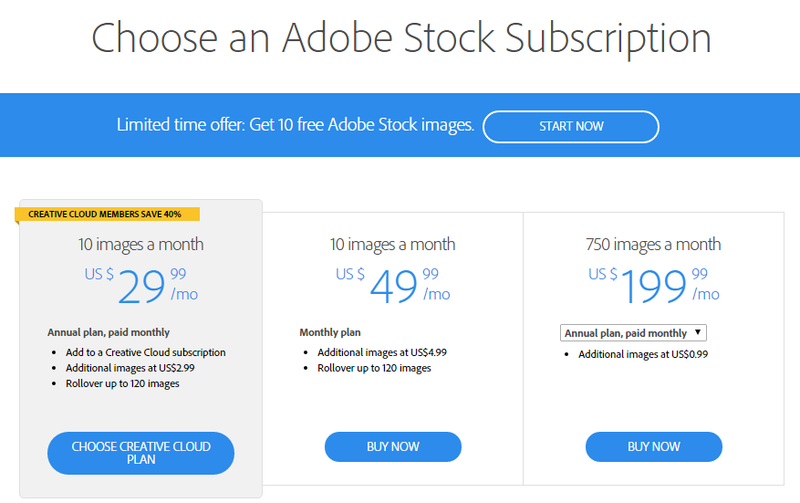 While Creative Cloud members enjoy added benefits, non-members can still access and purchase the stock site as it acts as a standalone website. If you are already registered to the stock photo agency, here are some important things you should remember when using Adobe Stock photos. When using Adobe Stock photos, you should remember that your first choice is probably the most common. No matter what project you are creating, look around your competitors and take note of the images they are using. Make sure you are not using the same image. Browse through the deeper pages of the stock site to avoid getting clichéd or overused stock images. Adobe Stock has millions of stock photos in its library. Thus, there is a huge chance that you will find exactly what you are looking for. When using stock images, make sure that they reinforce your message and not just decorate your page. Your content should go before your design. Otherwise, you will miss the visual connection that should have been there. Stay away from Adobe Stock photos that look outdated and unprofessional. When choosing stock images, make sure that they look like they are taken by a modern camera. Also, make sure that the people in the photo are in style. Take note of the current designs and trends as well. Avoid photos that look over-posed. Keep in mind that the perfect image is sometimes the worst picture. How can you tell over-posed images from natural ones? Over-posed images have evenly lit models, staring and smiling straight to the camera, and centered in frame. On the other hand, natural images are slightly more candid but with high quality. When you are using Adobe Stock photos, do so with extreme care. Take your time to find the perfect image for your creative project and make it amazing with Creative Cloud desktop applications. Use the above tips to make the most of your stock photo site membership. Remember to use unique, natural and not outdated images on your website, article and design.